Ada pertanyaan untuk Sotetsu Fresa Inn Ochanomizu-Jimbocho? Terletak strategis di area melihat-lihat, restoran, berbelanja di Tokyo, Sotetsu Fresa Inn Ochanomizu-Jimbocho menyediakan tempat yang kondusif untuk melepas penat dari kesibukan Anda. Hanya 21.1 km dari sini, hotel bintang 3.5 ini dapat secara mudah diakses dari bandara. Dengan lokasinya yang strategis, hotel ini menawarkan akses mudah ke destinasi yang wajib dikunjungi di kota ini. Sotetsu Fresa Inn Ochanomizu-Jimbocho menawarkan pelayanan sempurna dan segala fasilitas penting untuk memanjakan para wisatawan. Fasilitas terbaik hotel ini termasuk WiFi gratis di semua kamar, resepsionis 24 jam, fasilitas untuk tamu dengan kebutuhan khusus, penyimpanan barang, Wi-fi di tempat umum. Masuki salah satu dari 130 kamar yang menggoda ini dan lepaskan rasa penat Anda dengan sejumlah fasilitas yang tersedia seperti televisi layar datar, akses internet - WiFi, akses internet WiFi (gratis), kamar bebas asap rokok, AC. Disamping itu, hotel memiliki berbagai pilihan fasilitas rekreasi yang menjamin Anda melakukan bermacam hal selama menginap. Apapun alasan Anda mengunjungi Tokyo, Sotetsu Fresa Inn Ochanomizu-Jimbocho adalah tempat yang sempurna untuk liburan yang menyenangkan. Hotel ini dapat menyimpan barang Anda di area resepsionis sebelum check-in dan setelah check-out. Namun, hotel dapat menyimpan barang bawaan Anda hanya pada tanggal check-in/check-out. Hotel tidak dapat menyimpan tas berukuran super besar, barang bawaan dalam jumlah besar, atau barang yang membutuhkan pendingin. Untuk informasi lebih lanjut, silakan menghubungi langsung pihak hotel. Tamu diharapkan memberitahu properti terlebih dahulu apabila tamu akan tiba di hotel setelah tengah malam (24:00 waktu Jepang). Hotel tidak dapat melakukan pemesanan lainnya kecuali pemesanan kamar. Jika tamu ingin melakukan pengiriman tas atau surat ke hotel dengan menggunakan layanan pengiriman, pos surat, dan lainnya, maka label pengiriman harus tercantum nama tamu yang memesan dan tanggal check-in. Hotel akan menyimpan barang selama satu minggu sebelum check-in. Hotel tidak bertanggung jawab atas segala biaya pengiriman. Silahkan melakukan pembayaran di awal. 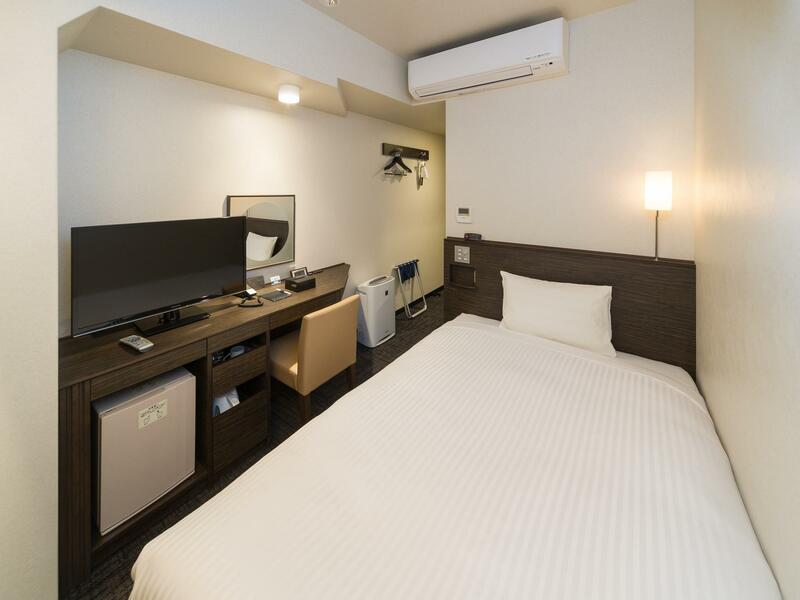 Lokasi dekat dgn Metro Jimbocho, 7/11, Daisho, Family Mart. 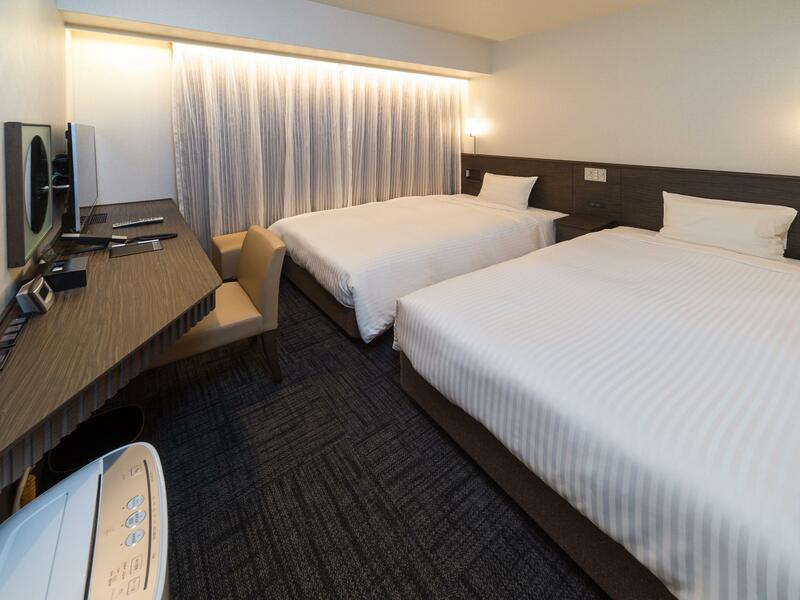 Tipikal kamar hotel di Jepang, kamar kecil tapi ternyata sangat kecil, susah buka 2 koper dan gerak untuk 2 orang. Harga termasuk breakfast tapi menu hanya ada 2 pilihan karena hanya ada coffee shop bukan restaurant. You can easily access to the hotel and there are numbers of good restaurants nearby. The staff here are superb. The room is larger than expected. It is highly recommended for your trip to Tokyo. 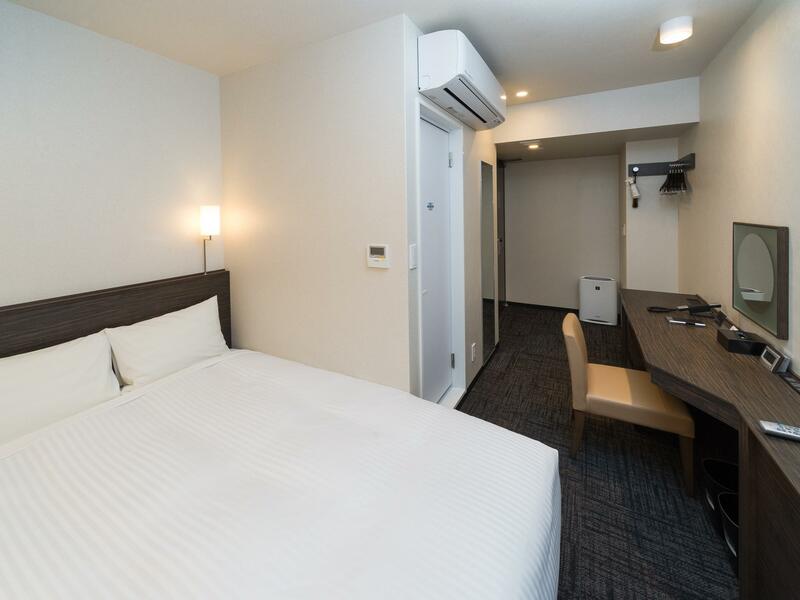 About 200m from Jimbocho Station and with 3 MRT lines (Shinjuku, Mita and Hanzomon) that make it even easier to go to different places in Tokyo. The street where the hotel is located has a lot of good places to eat including coffee shops like Doutor and St. Marc's. Has a small Daiso fronting the hotel , a 7-11 and a couple of drugstores . Staff are also friendly and very polite. The room may be small but all the things I mentioned make up for the room size. 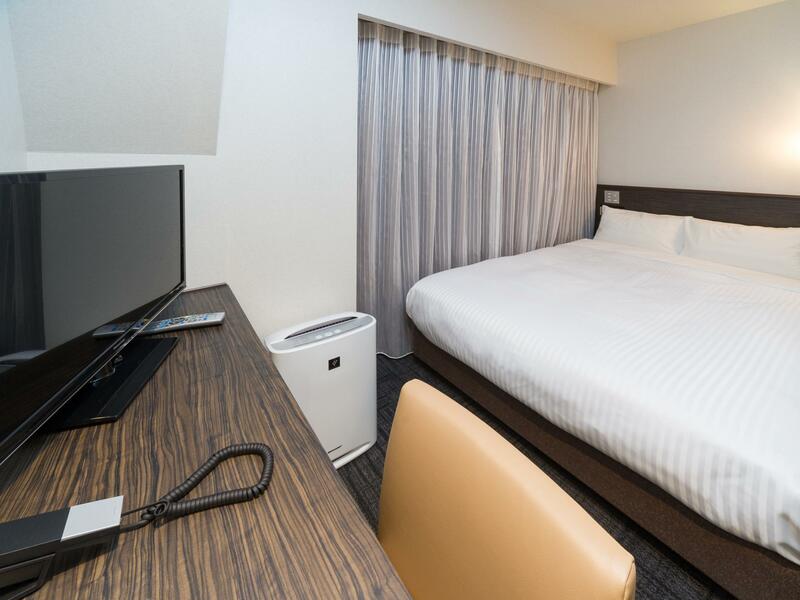 Consider this hotel when visiting Tokyo. Location is good with good food surrounding the hotel and Daiso right opposite. 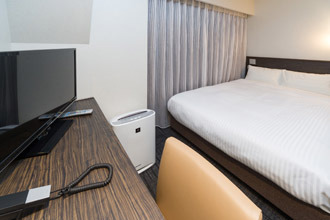 7-11 and Family Mart is just a short 1 min walk away and Jimbocho subway station is just 3 mins walk away. 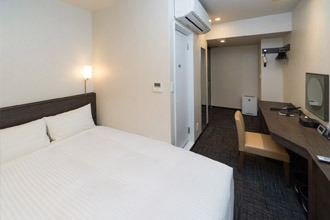 Hotel is clean though small as with all typical Japan hotels. Nice location. Exit from exit 7 or 8 from Jimbocho and u would cut into the street where hotel is. Great food with convenience stall / cafe around. That's being said, Travelling from jimbocho to Narita via Tokyo station requires u climbing a lot of steps on the metro, which is no joke when lugging luggage around. Hotel offer free bath salts which I used daily. However, room was a bit small. Suitable for single traveller but one more pax might be cramp (that being said, I did ask for single occupancy). Check out was kinda early at 10am, and extension might cost 1000 yen per hour. The hotel was very clean and quiet. It's located in nice area with a lot of book shops, restaurants and convinience stores nearby and good access to public transport. The room was a bit small but except that everything was nice. I booked this hotel 8 months in advanced and were able to get a eoom for a good price. It's really tiny. My friend and I managed to arrange our luggage so that it wouldnt be in the way. Area was nice. More of a business area but it has great food option. Good location in Akihabara. There are washing machines and vendo inside the hotel and the room is always kept clean. Good location for those travellers without a lot of luggages as the nearest subway exit is without elevator. First of all, I love the area. It is unique in its own way, and it has lots of book and stationary stores. Additionally, you can find don quijote near the hotel as well. Secondly, Nankai kitchen, famous for its katsu curry, is 2 minutes walking distance from the hotel. It is easy to spot as you'll most likely see dozens of Japanese white collars queuing for it. 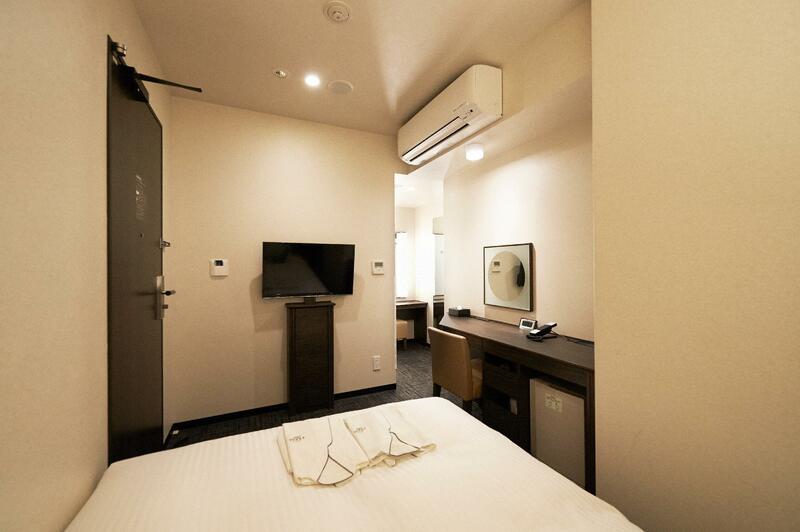 Lastly, the hotel is very clean and quite comfortable. The service is okay: minimum English. The only downside is probably the size of the room (you should've expected this). Overall, my stay was enjoyable, and I'll probably stay here again if I return. Jimbocho is a business area, but the hotel is in the "book street" , very close to different cafes, restaurants and convinence stores. 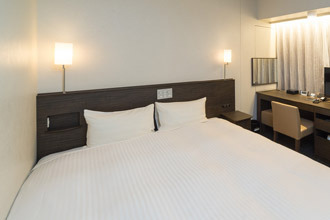 The room itself was clean and seems to be bigger than other hotels in Tokyo. Staffs are very friendly and all. The room is very very small . We desperately asked for an early check in on arrival after 12 hours of plane , they refused . Regarding the breakfast , it is served in the bakery down the hotel and they give you the minimum amount of food . One day they did not have the specific Pastrie they give you when breakfast is included , so the person just apologized and never gave me another Pastrie amond the dozens they sell in the bakery .... Unbelievable . Definitely not worth the price , we will not recommend this hotel and for sure never come back . Very good Staff were helpful at all times The hotel is back from the main street The neighborhood is pleasant and varied with shopping and good places to eat. We had a double room and it was quite small you would get more room with a twin and the beds are about the same size. The location was very good for walking or using the subway. Taxi fare at 0900, on a weekday to Tokyo station was 2100 yen and about 20mins.